My mother died suddenly of a heart attack in October of 1993. I worked through my grief by exploring our relationship using my design talents coupled with the tools of interactive multimedia. 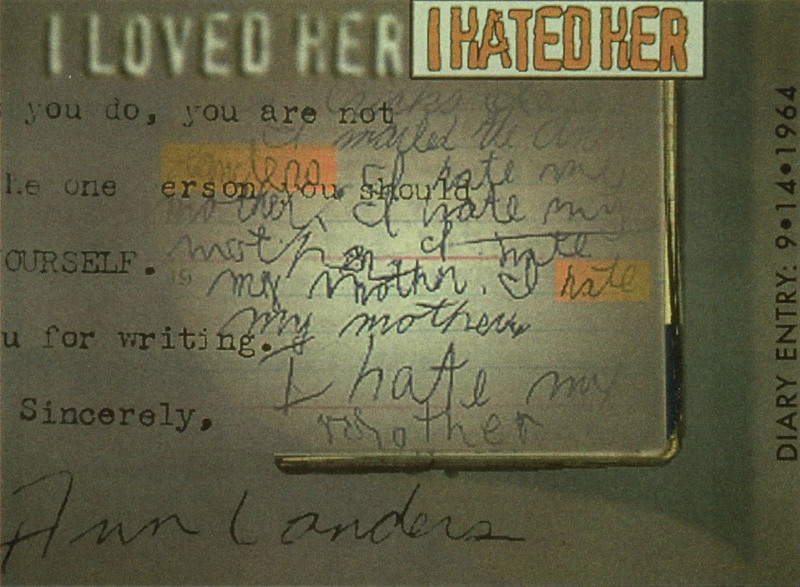 Like many mothers and daughters, our relationship was volatile in nature and ran the gamut from love to hate. The completed CD-ROM was designed to run in a public environment. My main objective was to challenge the “template formality” of so many CD-ROM titles and successfully employ the medium to artistically and creatively tell a story that evoked emotional response. An image of a closed locket (given to me by my mother) is used to as the introductory image to reinforce the concept that the viewer is entering a personal space. This introductory screen leads to a typographic main menu which provides choices between seven sets of polarities that bound our mother/daughter relationship. This interactive journey incorporates thirty-five years of my diary and journal entries, my mother and my correspondences, collected quotes, family photos and my uncle’s collection of Super-8 home movies and videos. The “look and feel” of the interface is based on the actual calligraphy from my diaries and journals. 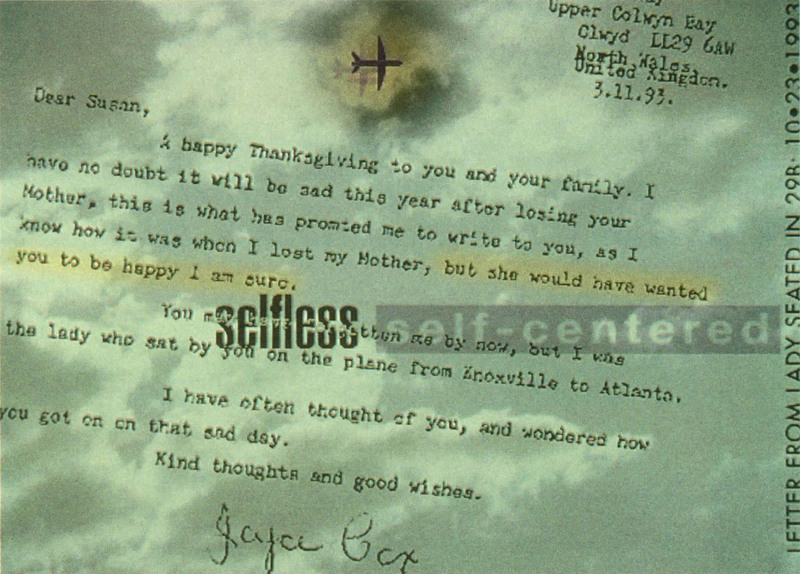 Graphics include mother/daughter photos, my mother’s death certificate, a 1964 written reply from Ann Landers, the hospital’s personal effects baggy, a letter from a stranger who sat next to me and comforted me on the airplane ride to my mother’s funeral, my mother’s grave marker. The Quicktime movies are silent and flicker in an uneven frame, just like the Super-8 movies that they are derived from. They are composed of snippets from an early 1950’s thanksgiving dinner, a beach holiday, my mother and her two sisters hamming it up in the kitchen, my mother holding me when I was newborn, me chasing after my mother up the stairs of a summer cottage. Sounds include a baby’s incessant crying, a whisper of “please get well,” a ringing telephone, a heart monitor, my father reciting the Jewish Kaddish prayer for the dead. System level button navigation is minimal and screen navigation is freeform and non-linear. Sometimes an action, such as a movie or sound, is triggered by simply moving the mouse over a live area, other times the user must click or drag to engage an action.